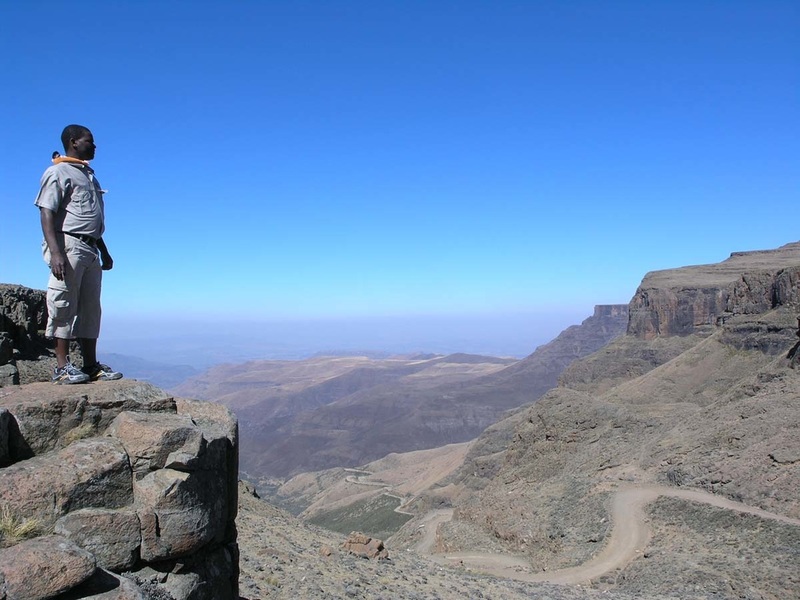 ‘Dragon Mountain’ to Afrikaners, ‘Barrier of Spears’ to the Zulu, the Drakensberg are South Africa’s highest range. 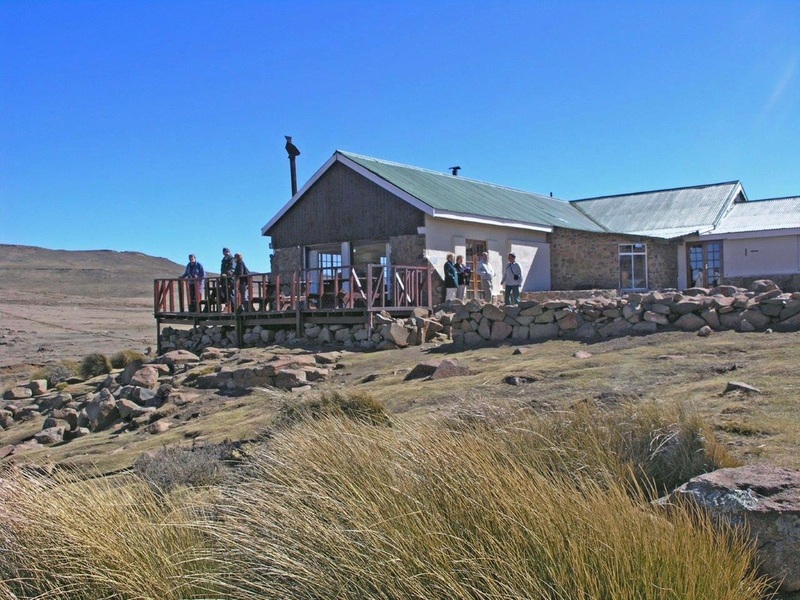 Sunsets are spectacular, rare species thrive in the wilderness and at 2874 metres, the highest pub on the continent greets you with mulled wine and beer and views to die for, come sun or snow. But to enjoy your drink on the ‘roof of Africa’, you must negotiate the vertiginous drive up to the Sani Pass, along a mule track which now goes by the name of ‘road’. Antelopes bound on the slopes, protea and yellow-wood trees splash colour and springs gurgle on the rocks. Baboons plod around, guarding their young. At the Good Hope Centre where mohair and wood were once traded for maize, taxi drivers tout for custom to the cry of ‘one more, just one more’. 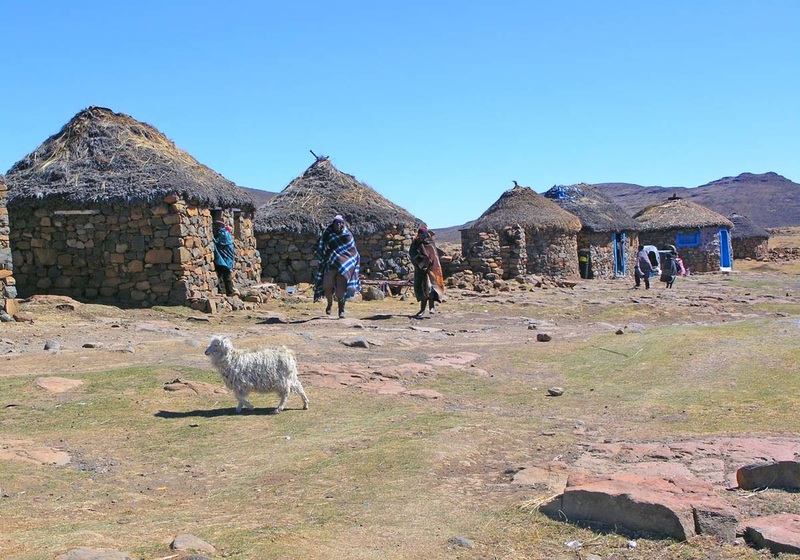 Beyond the South African border post, an eight km stretch of no man’s land leads up to the pass and the kingdom of Lesotho. Ahead of you, four-wheel drives jerk along a jagged ribbon of earth crawling above the valley. The track glows like molten gold, steeper and more tortuous as you climb, littered with rocks and stones, blessed by names that say it all, suicide corner, God help me corner, ice corner and whisky corner as a last resort. One more three point turn on the final bend and you are there, panting in the thin air, hit by sweeping winds and dizzying views. It’s like the Grand Canyon, say the rangers, but all eyes are set on the Sani Top chalet perched on the edge of the escarpment. 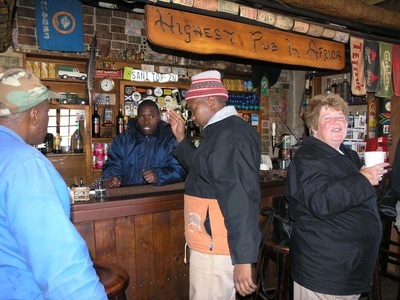 You order Maluti beer, sink on the couch by the open fire and gaze at the sign above the bar, ‘It’s tough at the top’. You can stay overnight in a luxury rondavel, a circular African hut of stone and thatch, or join the backpackers sharing facilities and hair-raising stories. But most of us drive up for a shot of adrenalin and a rustic lunch of home-made soup and fresh trout. You can see the view from your table but a quick foray on the nearby heath brings its rewards, maybe a lesser kestrel or a bearded vulture, a clump of wild carnations or black-faced orchids. Far below, velvety slopes roll down to the valley floor in shades of purple and pink and the last four-wheel drive is barely a speck on the track. 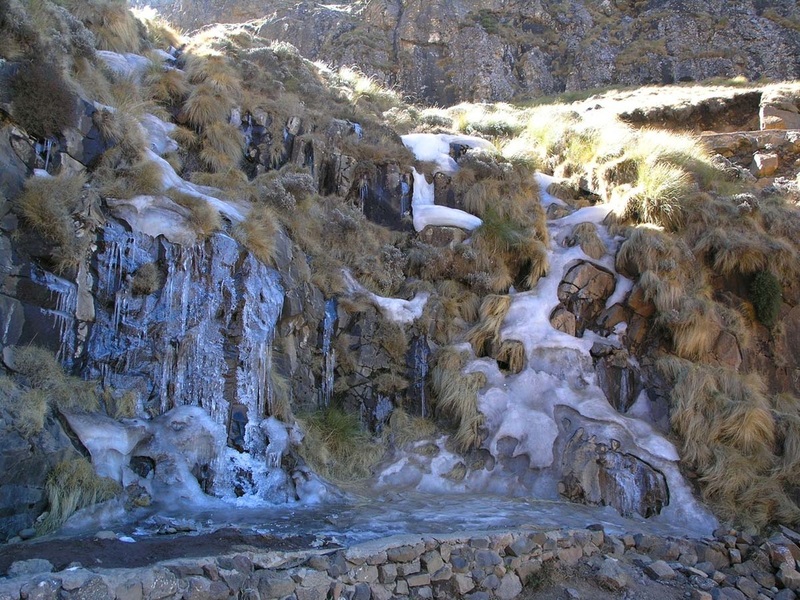 The South African border closes at 4.00, leaving enough time for day-trippers to pop into Lesotho, a few steps from the pass. Expect to be lured into a village hut, drink sorghum beer from a communal mug and be escorted by Angora goats with tinkling bells and children wrapped in blankets from head to toe. It’s bitingly cold but right behind you, the highest pub in Africa is ready to welcome you back.